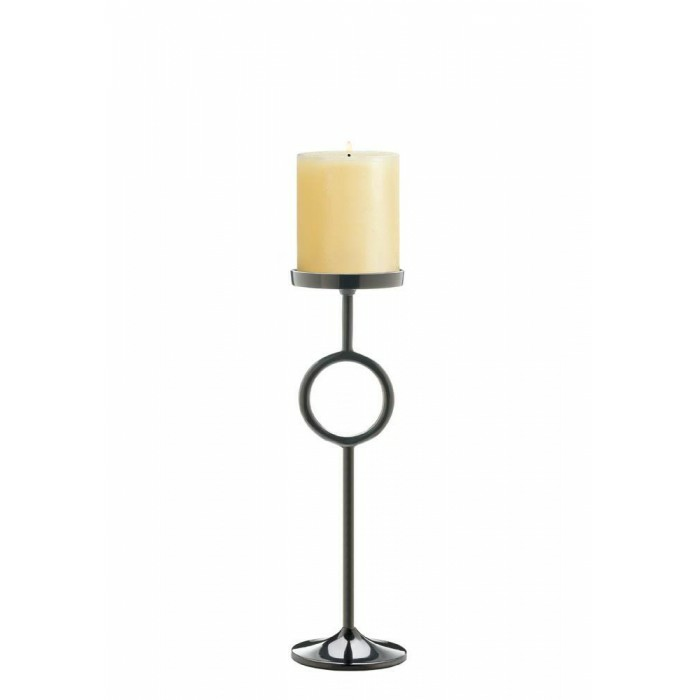 Home | Home Decor | Wedding Decor | Circle Candle Stand 18"
Home | Home Decor | Candle Holders | Circle Candle Stand 18"
Home | Closeouts | Circle Candle Stand 18"
Set your favorite candle on this incredible stand and your room will quickly fill up with candlelight and style. 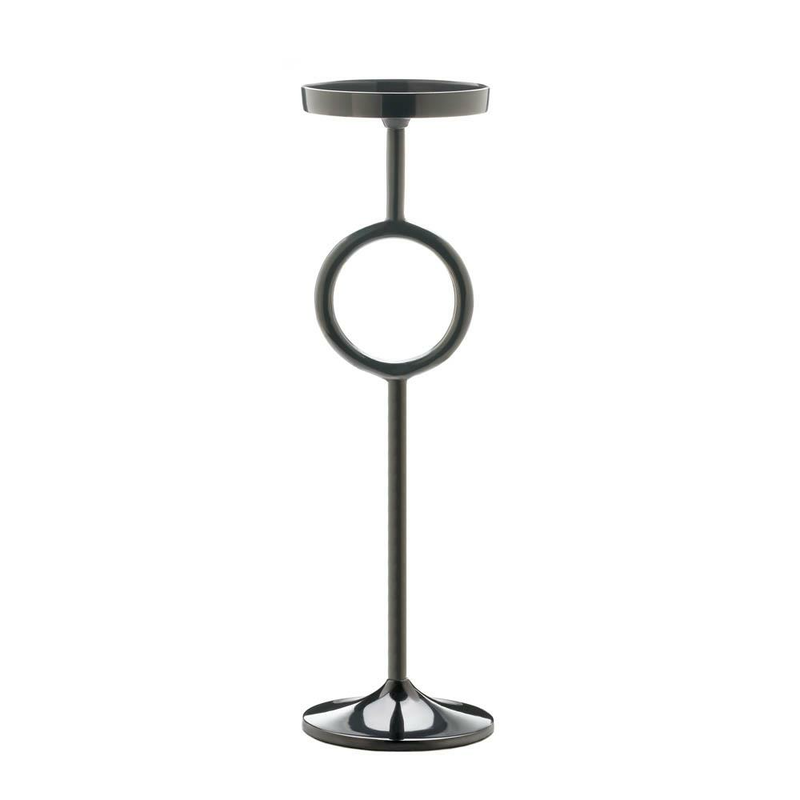 It features a candle platform that's 18 inches high, and below is a cool circle sculpture. Weight 1.6 pounds. 5.25" x 5.25" x 18". Aluminum. Candle not included. UPC Number: 849179028268.